Who can work in Europe? Anyone who meets the criteria and requirements set by the European countries can work in Europe. Most European states have their programs, through which they tend to lure foreign professionals and fill job shortages in different fields in the country. How can I get a Schengen work visa to Europe? The Schengen work visa does not exist. 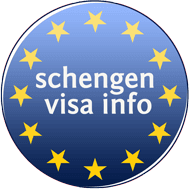 You can get a Schengen visa for other purposes, as tourism, visiting family and friends, business, medical purposes etc. However, you cannot get a Schengen visa to work in Europe. You are not permitted to work while holding a Schengen visa for other purposes, as well. Still, you can work in the Schengen Area if you hold a National (D) Visa for employment purposes issued by one of the 26 European countries part of the Schengen Zone. Each of the Schengen member countries has its own visa policies, which policies differ from one country to the other. The employment visa programs in the European countries have been established to cover the labor needs of the respective countries and fill job shortages. Therefore, employment visa criteria and requirements, as well as the application process, depend a lot on the labor needs of each country. Who needs a visa to work in Europe? Citizens of the USA, Australia, Canada, Israel, Japan, New Zealand, Switzerland, as well as EU citizens do not need to apply for a work visa to Europe. However, upon arriving at the country where they will be working, they have to apply for their residence and work permit. Citizens of other countries must apply and get an employment visa before entering the Schengen territories for work purposes. What are the requirements for a European Work Visa? Application Form. Fully completed and printed twice. Do not forget to sign both copies at the end! Two identical photos. These photos should be taken within the last three months, according to the common Schengen visa photography criteria. Valid passport. Your passport should be no older than ten years and valid for at least three more months, on the date you plan to exit the Schengen territory. Make sure it has at least two blank pages for the visa sticker. Roundtrip flight reservation. This should indicate the dates and flight numbers of entry and exit from the Schengen area. Here you can learn more about how to book a flight reservation for EU visa application! Travel medical insurance. Covering any medical emergency with hospital care and travel back to one’s native country due to medical emergencies, up to 30,000 euros. Insurance must be valid in all Schengen countries and purchased before picking up the visa. Proof of Accommodation. A document that shows where you will be residing in the Schengen Area, i.e. rent agreement. Employment contract. An employment contract signed between you and your future employer, residing in the Schengen territory. Proof of Academic Qualifications. As diplomas, certificates, grades’ transcript etc. Proof of language knowledge. Most countries want you to fit in even if you are planning to work there only per one year. That is why many of them will ask you to meet a specific level of knowledge of their official language. Please note that these are only the basic requirements that you will have to provide in order to get a work visa to Europe. Each of the Schengen member countries, as well as other European states outside of this zone, have their additional requirements. Check what Employment Visas the country where you wish to work offers. Figure out if you qualify for a work visa to EU. Meet the criteria for an EU work visa. Some of the countries will require from you to get a job prior to applying for a visa. Make sure you fulfill these kinds of requirements before applying to get the visa. Collect the required documents for an employment visa. Attend the interview with all the required documents with you. Wait for you visa to be processed! Keep in mind that this is only the standard procedure to apply for an employment visa in Europe. The exact process may differ from one country to the other. In case you need to enter the Schengen Area for a short stay, and you do not know where to apply check the rules on Where to apply for a Schengen Visa and How to Choose the Right Embassy/Consulate/VAC to Submit the Visa Application. You are highly advised to apply for a work visa to Europe at least two months prior to your trip to the Schengen country where you plan to work in. The reason for that, is because the European embassies make take six weeks to process an employment visa application. In extraordinary cases, the processing time may be extended up to 12 weeks. Most European Work Visas are valid for one year. Still, in most countries, the visa holders have the chance to apply for a visa extension, upon the expiration of their visa. The validity of your visa, as well as a few other details will be written in the visa sticker affixed in your passport. Read the visa sticker in your passport carefully for more information. Can I extend an EU work permit? You will be able to extend an EU work permit in most countries. There is an application process and some required documents, which you will have to collect and submit at the competent authorities in your European country of residence, prior to your visa / residence permit expiration.